Work on the IA.63 began in 1979 by the Fabrica Militar de Aviones and by early 1980 a straight-wing configuration powered by a single TFE 731 had been decided upon. Dornier provided technical assistance in the design and development stages, and also in the construction of the wing and tail surfaces of the prototypes. The first flight took place on October 6, 1984, and by March 1986 three prototypes were flying. Construction of three flying prototypes was initiated in March 1981 and the first IA-63 flew on 6 October 1984. A cantilever shoulder-wing monoplane, the fuselage incorporates a tricycle landing gear, a single turbofan engine and a pressurised cockpit with tandem seats for the pupil and instructor on zero/zero ejection seats. Deliveries of 64 IA-63As to the Argentine air force began in May 1988. 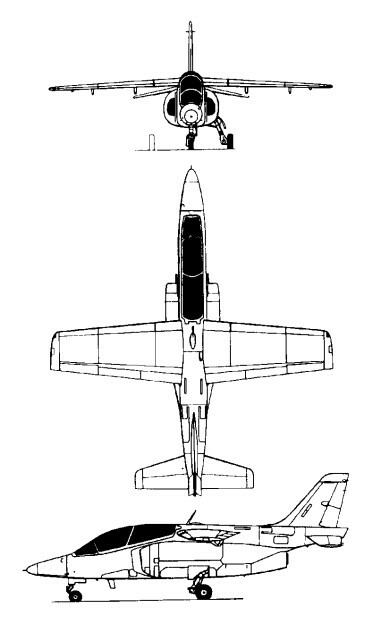 The FAA requirement was for 64 aircraft, The IA-63A can also be used for weapon training with a 30mm Defa cannon pod on the fuselage centreline, and other ordnance on four under-wing pylons, though better capability in this and the light attack roles is offered by the IA-63B under development in the early 1990s with the 4,300-lb (1,950-kg) thrust TFE731-5 turbofan and a head-up display tied into a more capable nay/attack system. 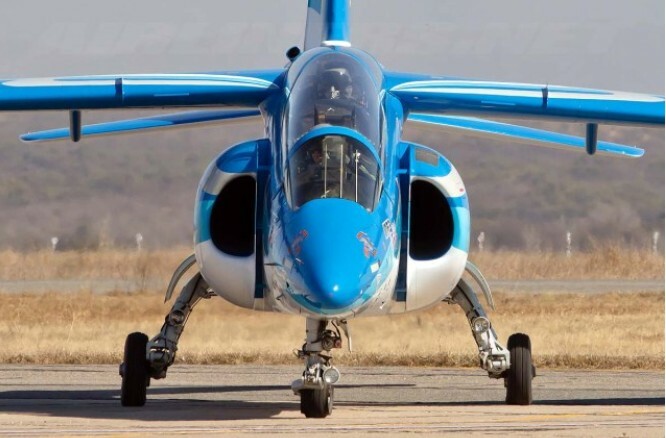 Powered by a Garrett TFE 731 turbo-fan engine providing 3500 lbs thrust, the Pampa "is capable of carrying a large and varied weapons load and a HUD and Weapons Aiming Computer System are being incorporated in future deliveries to meet Argentine Air Forces requirements". Pampa promotional material emphasises the type's fuel endurance of around 2.8 hours at 300 knots and a STOL/grass strip capability. Maximum speed is listed at 400 knots. In 1990, FMA teamed with LTV to offer a version of the IA 63, designated Pampa 2000, to compete for the Joint Services Primary Aircraft Training System (JPATS) search for a common US trainer. Engine: 1 x Garrett TFE731-2-2N turbofan, 3,500lb st (15,75 kN). Span: 9.69 m / 31 ft 9 in. Length: 10.93 m / 35 ft 10 in. Wing area: 15.63 sq.m / 168.24 sq ft. Empty wt: 2627 kg / 6219 lb. Max speed: 755 kph / 469 mph. Initial ROC: 1813 m / min. Ceiling: 12,900 m / 42300 ft.
Fuel internal: 980 lt (+400 lt). Range w/max.fuel: 1500 km / 932 miles. Engine: one 4300-lb thrust Garrett TFE731-2-2N turbofan. Maximum take-off 11.023 lb (5,000 kg). Armament: provision for a 30-mm cannon pod and up to 2,866 lb (1,300 kg) of disposable stores.